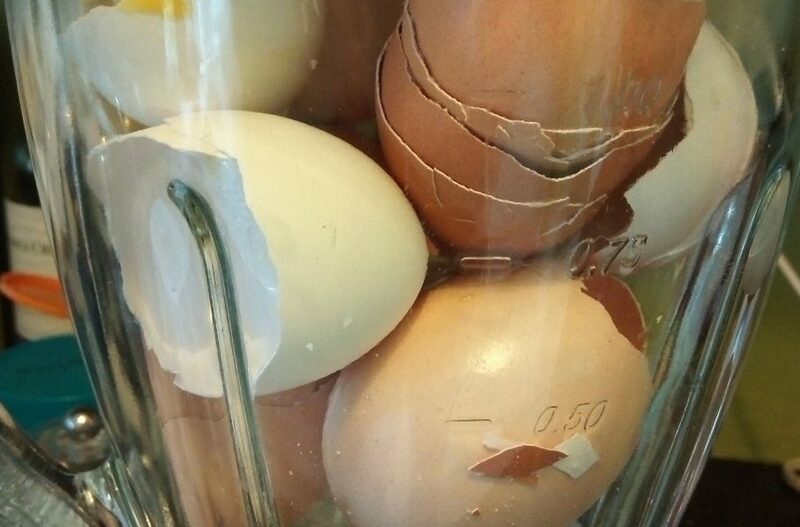 If you’re looking for a great way to use up eggshells, you can easily make them into a simple fertilizer. Eggshells are full of calcium, which many plants need, and calcium helps fix nitrogen into the soil, which ALL plants need. 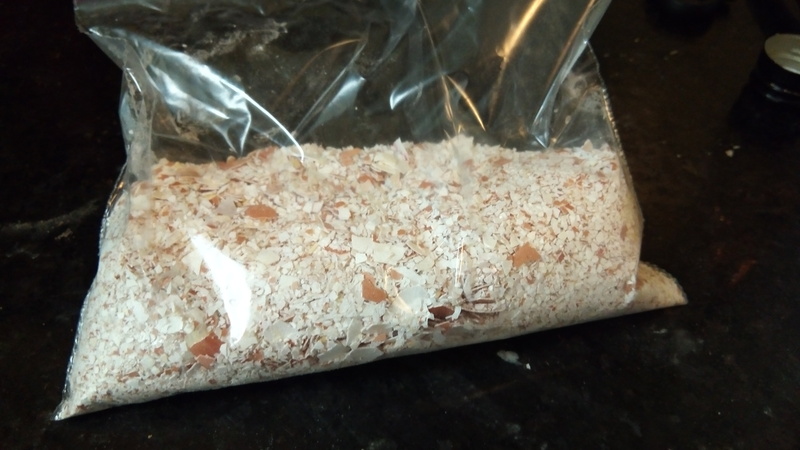 Eggshell fertilizer is similar to bone meal, and is gentle enough to add to new seedlings without scorching them, and you can make it in seconds and store it for years. I keep a large plastic bowl of them on my counter, and pile them up. 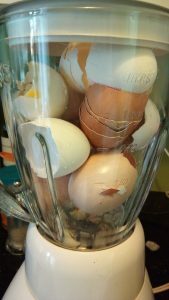 Since I do a lot of baking, I go though eggs quite quickly, and they pile up. Put the eggshells into the blender, and gently pulse the blender to break down the shells. Don’t add any water, and don’t run the blender for too long, or it will overheat. You will occasionally need to push the rest of the shells to the bottom. 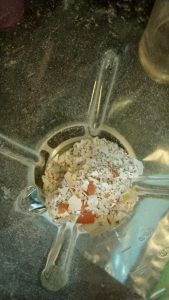 Mix until all the shells are ground into a coarse powder. A full blender will only produce a few tablespoons of powder. You can keep the powder in a plastic bag. They shells will keep for quite a while, but if they start to smell skunky, you should throw them out. Otherwise they should last indefinitely. To use, just sprinkle 1-3 tsp onto the stems of a plant, and gently turn the shells into the soil. Fertilize at planting, again when the plant produces flowers, and once again when it starts to fruit.